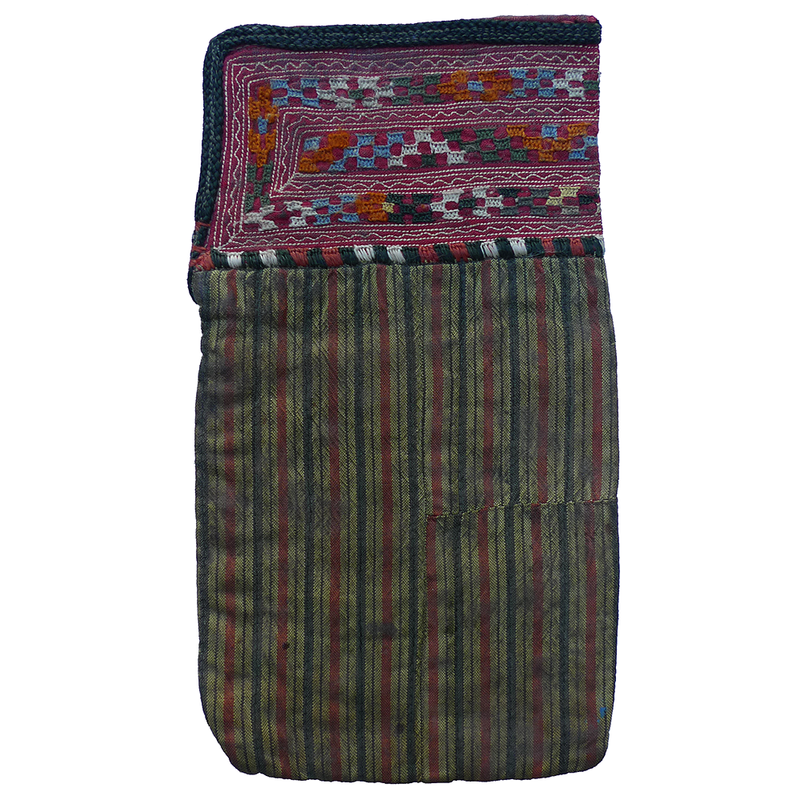 Among the most utilitarian (and beautiful) textiles found in Central Asian homes were bags. 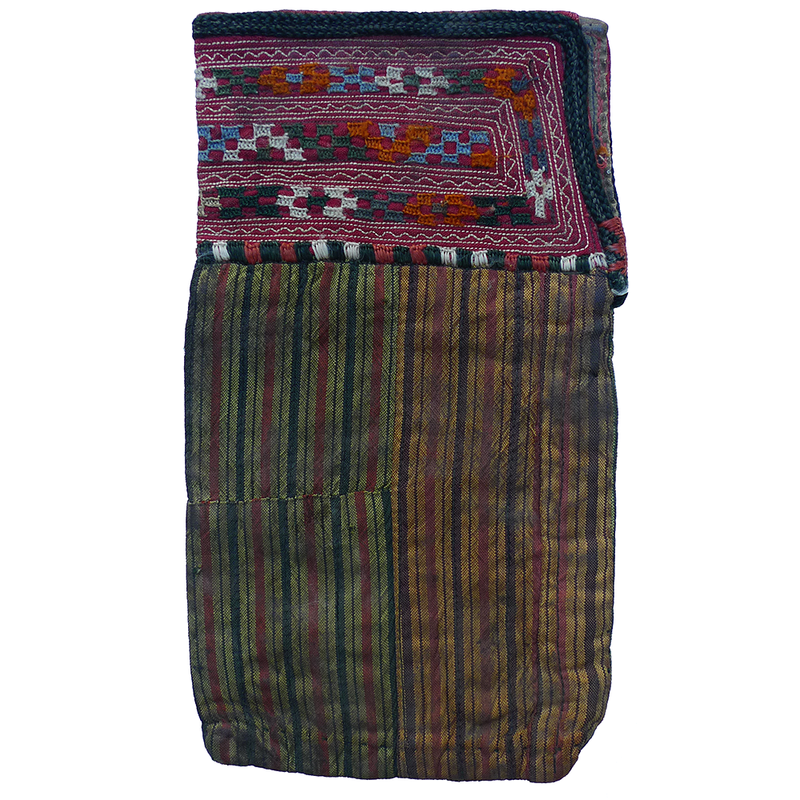 Every one of them – from large storage and transport bags to small finely embroidered bags such as this – had a purpose. 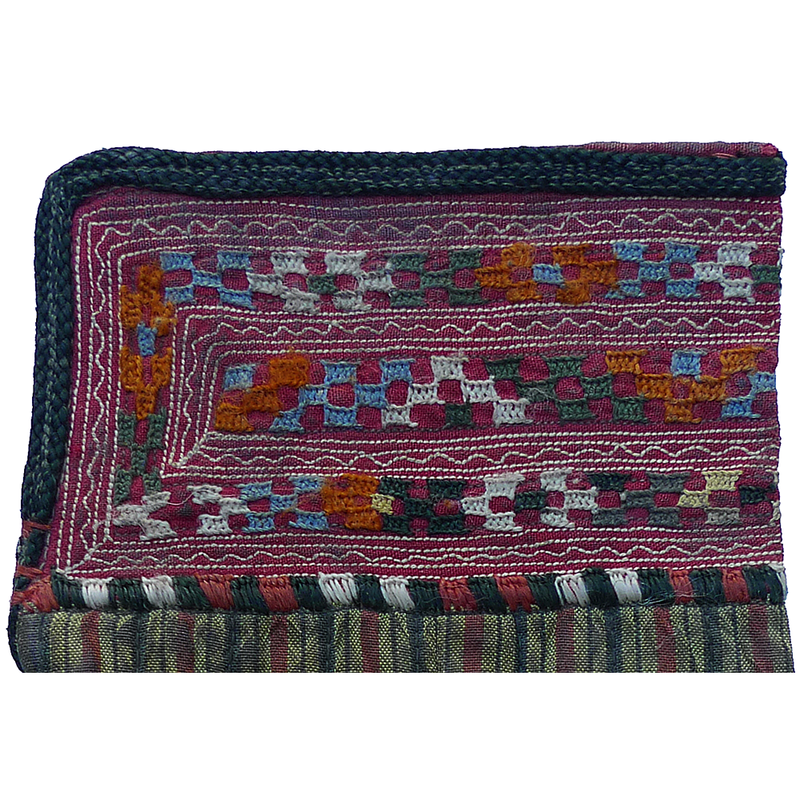 The woman who embroidered the top of this bag and wove the striped fabric no doubt had a specific use in mind – perhaps it held personal objects, or small household items. If you are interested in this bag and would like more information please contact Susan Meller.